Gary McKinnon was on born February 10, 1966 in Glasgow, Scotland he is a systems administrator and hacker he was accused in 2002 of hacking into 97 United States Military and NASA computers. Gary McKinnon got his first computer when he was 14 years old. Three years later he left school and became a hairdresser. But in the early 1990s friends convinced him to get a qualification in computers. 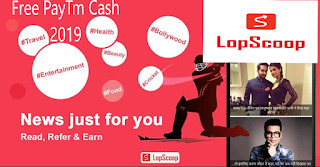 After completing a course he started doing contract work in the computing field. Then, after watching the 1983 film wargames, in which a nerd played by Matthew Broderick brings the world to the bring of war by hacking into the Pentagon computer network. By the late 1990s Mr McKinnon decided to use his hacking skills to "research" his belief the US government was withholding critical information about UFOs. His search quickly turned into an obsession. From the bedroom of his girlfriend's aunt's house in north London, he hacked 97 United States Military and NASA computers between 2001 and 2002. 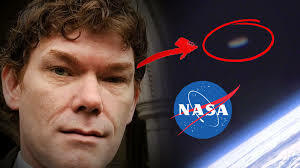 Gary McKinnon was caught in 2002 as he tried to download a grainy black-and-white photograph he believed was an alien spacecraft on a NASA computer housed in the Johnson Space Centre in Houston, Texas. The Americans say he stole 950 passwords and deleted files at Earle naval weapons station in New Jersey. The Americans continue to press for the extradition of a man who they say caused $800,000 (£487,000) worth of damage to computers between 2001 and 2002. If he was convicted in the US he could face up to 70 years in prison. Completely unknown at the time of his arrest, Mr McKinnon became a symbol of the controversial US-UK extradition treaty, gaining a wealth of celebrity backers as diverse as Terry Waite, Sting and Julie Christie. In August 2008 Mr McKinnon was diagnosed with Asperger's syndrome - a form of autism. He was diagnosed after an expert in autism watched him in a television interview and contacted his solicitor. The initial hunch was confirmed by Professor Simon Baron-Cohen, a leader in the field. Asperger's syndrome sufferers commonly become obsessed with certain activities and interests and are known to have a level of social naiveté when it comes to evaluating the consequences of their actions. Prof Baron-Cohen said this was consistent with Mr McKinnon's "obsessive search for truth". It is claimed that between February 2001 and March 2002 Mr McKinnon hacked into dozens of US army, navy, air force, and Department of Defense computers, as well as 16 Nasa computers. The Americans allege he altered and deleted files at a US naval air station not long after the terrorist attacks on 11 September 2001. They describe Mr McKinnon's hacking as "intentional and calculated to influence and affect the US government by intimidation and coercion". But Mr McKinnon, or Solo as he was known online, has always said he is no web vandal, nor virus writer, and he never acted with malicious intent. In a BBC interview in 2005 he said: "I found out that the US military use Windows and having realised this, I assumed it would probably be an easy hack if they hadn't secured it properly." Using commercially available software, Mr McKinnon probed dozens of US military and government networks. He found many machines without adequate password or firewall protection. So he simply hacked into them, he said. In 2009 he told the BBC: "I am not blind to criminality, but I was on a moral crusade. "I was convinced, and there was good evidence to show, that certain secretive parts of the American government intelligence agencies did have access to crashed extra-terrestrial technology which could, in these days, save us in the form of a free, clean, pollution-free energy." He added: "I thought if someone is holding onto that, that is unconstitutional under American law. I didn't think about jail sentences at the time." "I'd stopped washing at one point. I wasn't looking after myself. I wasn't eating properly. I was sitting around the house in my dressing gown, doing this all night," he said. Mr McKinnon did not try very hard to cover his tracks, even using his own e-mail address. When Britain's hi-tech crime unit finally came for him in 2002, Mr McKinnon was not surprised. He told the BBC: "I almost wanted to be caught, because it was ruining me. I had this classic thing of wanting to be caught so there would be an end to it." He thought he would be tried in Britain, and that he might get, at the most, three to four years in prison. But the Gary McKinnon saga dragged on for 10 years and in that time there have been seven home secretaries. During that time he appealed unsuccessfully to the House of Lords and the European Court of Human Rights. One of his major arguments against extradition was that he believed he would not get a fair trial in the US and would be punished more severely because he had contested the extradition process. The case had been in Theresa May's in-tray since she became Home Secretary in May 2010 and in October she finally ruled that he should not be extradited. She said there was no doubt Mr McKinnon was "seriously ill" and said: "Mr McKinnon's extradition would give rise to such a high risk of him ending his life that a decision to extradite would be incompatible with Mr McKinnon's human rights." Now, the director of public prosecutions has ruled Mr McKinnon will not face charges in the UK - bringing his 10-year battle to a close.